John Ricard blog – My life as a portrait photographer. For this soft, but dark nighttime look, we turned to the marvelous Honey B. In her NYC studio, she creates looks like these on the regular for her personal clients. Her step by step breakdown follows. “I wanted a darker look, but not just the black and grey smokey look. I wanted it to be soft but dark I started with blacks and browns but I added some maroon and burgundy to really give it a more striking color,” says Honey B.
I recently held an executive portrait session for Certified Financial Planner ™, James Townes. These sessions for me, provide an opportunity to gain insight into someone else’s world. As a financial planner, James’ main focus is that while we are in our money earning years, we should consider our, “obligation and responsibility to pass our wealth on to future generations.” I found it interesting that James defines wealth as more than just money – he views our intellectual capital and human capital as equally important, especially for future generations. And how will we accomplish this transfer? 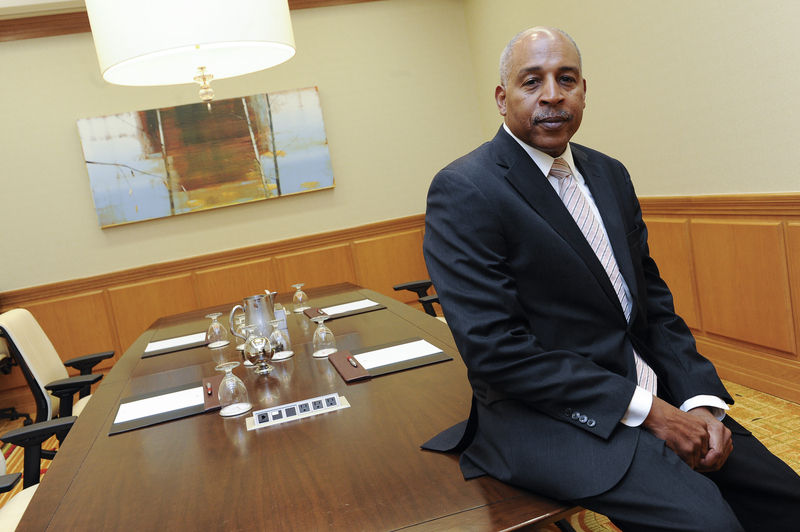 James said, “Appropriate comprehensive financial planning is the cornerstone. Understanding where your money is spent, making sure that we address contingencies in case something bad happens to us, ie. disability or pre-mature death. Having a plan to invest disposal income, in the stock market, in real estate and making sure that we have contingency plans. We need to make sure that we have an estate plan in place, regardless of the size of the estate. This information really affected me on a personal level since, I must admit, I haven’t taken these steps. I spoke to my wife about it and we are certainly going to begin making sure that our finances are in order so that our 10 year old daughter and her (eventual) children can benefit from all the steps my wife and I are taking today with our careers and finances. I had also asked James if it is ever the “wrong” time to begin financial planning. For example, if someone is in debt. Should they wait until the debt is resolved? James said, no. Financial planning should begin immediately, no matter what the state your finances may be currently in. (Special thank you to the CALIBR group for their assistance in setup up the portrait session). Mixed Martial Artists will tell you that the battle isn’t won in the ring on fight night. It’s won in the long and grueling training sessions that take place in the months before the fight. Spend enough time punishing yourself in training, and the fight itself is just another day at work. As artists we have our own battles that we wage regularly. And while they don’t involve us being punched in the face, they do present their own special form of torture that causes us to lose sleep, feel less than our peers, consider quitting and getting a real job and worst of all think about buying that new lens to solve all our problems with the swipe of a debit card. But we also have our own training sessions that prepare us for the big fight. They are known as test shoots. For me, a test shoot might involve my working with a full team of model, hair stylist, fashion stylist and makeup artist, or it might involve my working with just the model alone. It doesn’t matter. As much as I value having a strong glam squad, there is no guarantee that I’m going to produce interesting work just because I have a lot of people in the room. So I’m quick to schedule a shoot without glam. The test shoot is a time to be creative. There is no boss. No creative director. No agenda. Ok, maybe we prepared a mood board in advance and emailed that around in the days before the shoot. But its just as likely we didn’t, and minutes before the model arrives, I’m asking the team, “So what are we going to do today?” Sometimes, it’s just me and the model and I’m asking her that same question. I met Danielle at a jiu jitsu tournament where she was a competitor. Although she was comfortable on the mat having someone try to break her arm or choke her out, I could sense that despite her being interested in doing a shoot, she was nervous about it. This shoot was part of my “Model Test Monday” series, where I do a model shoot every Monday. Sometimes I utilize a full team of hairstylist, makeup artist and fashion stylist. Other times it’s just me and the model. For a test shoot, either scenarios. This day it was me, Danielle and makeup artist Jessica Rios. Here are 3 steps I took before and during the shoot to make Danielle as comfortable as possible. Note, these tips are best suited for a shoot where you don’t have a specific agenda -perhaps a shoot where you are testing new lighting techniques. 1) I allowed the model to wear whatever she likes. I didn’t give Danielle any clothing advice aside from suggesting a tank top be included in her selections. This is risky in that I might not like any of the outfits, but I knew there would always be things I could do with lighting and composition to keep the viewer’s attention away from the wardrobe. But allowing Danielle to shoot in whatever she felt most comfortable in, would help give her a sense of control and comfort. 2) I gave the model input into the hair and or makeup styling. Often, the creative direction is decided long before a model is even selected for a shoot and by the time we are on set, the model has zero input. This wasn’t the case here. I was open to shooting pretty much any look. So rather than saying to Danielle something like, “I’ve worked with Jessica dozens of times and she has already selected a great look for you,” I told her, “You and Jessica can decide on a look for you today. I’m fine with whatever you both agree on.” This helped to give Danielle a feeling of control over the shoot and helped insure she would project confidence in the looks we were shooting. 3) I allowed the model to make the image selections. Normally, unless the model has paid for the shoot, she isn’t the one deciding which images are released. However, when I’m doing frequent testing, and I’m make sure to keep each test to 4 hours at the most, I’m not as vested in each individual shoot as I might be if I were shooting only once every couple of months. I wanted Danielle to be comfortable with anything we shot, so I told her, “At the end of each look I’m going to let you look through the images and select any images that you are ok with releasing online.” I didn’t look over her shoulder as she made her selections. And honestly, it didn’t even matter to me if she was going to not select a really strong image. I knew Danielle would likely be contacting me a few months down the road asking if I had any additional images from our shoot, and by that time, I would have another 20 shoots completed anyway. All of these small steps on my part resulted in not just our creating strong images during the shoot, but I also earned Danielle’s trust. This will pay off tremendously, should I decide to call her another project in the future.